This 12-bottle wine club is one of the more fun affordable wine subscriptions. It features value-focused white and red wines from around the world. Their $12 international wine selections typically offer better value in white wine than red. Take advantage of their introductory offer of just $79.99 for a case, but be warned, you are signing up for recurring shipments at $149.99 per case. We've received many shipments of wine from the Virgin Wines parent company over the years, but we continue to hold the club in relatively low esteem. It's perfect for a wine lover who wants an inexpensive selection of International wine delivered to their door every quarter. It's not a good fit for anyone who likes wine that sells above $15 at the grocery store. Because of the success of the Virgin Wines club, many other wine clubs are competing with 12-bottle case clubs priced around $170 per quarter (including shipping costs). Some of them are offering much better quality wine for that price so we know this company could, too, but it's worth trying with that $79.99 introductory pricing. A Virgin Wines Club membership costs $149.99 for 12 bottles of wine. Shipping costs extra and is $19.99 per shipment plus sales tax where applicable. The price per bottle, with shipping, is $14.17. We received this introductory shipment of Virgin Wines in December of 2018. Virgin Wines is another franchise in the Virgin family of companies (including music label Virgin Records, Virgin Atlantic, and Virgin Galactic). As with all of their brands, the nearly 20 year old Virgin Wines club is fun, and better still it pairs wine from around the world with rock and roll legends. Now, to be clear, Virgin hasn't entered into the wine business themselves, they've partnered with a company who handles wine acquisition, customer service, and shipping details for them. It's unclear whether anyone at Virgin has anything to do with the selection of wines each quarter. Many wine subscriptions offer a killer deal to get you to try the wines. Like all of these clubs, if you take advantage of this introductory offer, you are automatically enrolling in their wine club. This means you'll automatically get quarterly wine shipments for $149.99 + $19.99 shipping until you cancel. Special Offer - $79.99 with Free Shipping! Important! This introductory offer is $79.99 for the first shipment, including shipping. This is an introductory offer and after the introductory shipment, you’ll receive a case of wine (12 bottles) every quarter for $149.99 + $19.99 shipping until you cancel. If you don't cancel before your next shipment is inbound, you either keep the next case or you are responsible for return shipping costs and a restocking fee. Unlike similar quarterly case clubs, Virgin Wines is more fun (if you are into rock and roll). Of course it's going to be more fun, the Virgin brand is always about fun and irreverance. To spice things up, Virgin has gone back to its roots by offering a music theme. First, they include three rock and roll wines that come in the introductory shipment. These wines are provided by a company called Wines That Rock and are not representative of the regular shipment wines, but two out of three (in the vintage we tried) were quite good. To keep the music theme going, they also offer a Spotify playlist for each bottle of wine they ship (not just the rock and roll wines). We cruised through some of the lists and found they were all suitable rock and roll playlists themed around the wine. If you're not familiar with Spotify, don't worry, it's an easy to use music streaming service (meaning you play what you like on demand, unlike the radio which plays what they like when they want). You can either download the app to your phone or simply use their web player (a Spotify account is required, but free). One thing that sets Virgin Wines apart from other wine clubs is their unprecedented buying power. You won't find any boutique, small-production, or even medium-production wines in these shipments. You will find many wines not offered by anyone else because Virgin Wines' wine partner has bought up the entire production allotment. You will also find some wines that are available elsewhere, but not at these prices. We've been drinking Virgin Wines on a regular basis for 10 years now. We've never been particularly impressed with the quality of their wine. For a while the wines were getting better, but it seems to have plateaued with a recurring selection of popular varietals and regions that have broad appeal for the American wine drinker. It used to be the case that Virgin Wines couldn't be beat on price. These days there are several wine clubs that are competitive in the under $15 per bottle range. Let's go into a bit of detail about the wine selection at Virgin Wines. Most of the wines, for which you will pay around $14 per bottle in the future, are of a fair value for the price. The white wines tend to be one of three things: very bright (acidic), tasting of alcohol, or very plain. This makes them generally food-friendly. The red wines tend to be medium bodied (even varieties that should be full-bodied), on the sweeter side (think Meiomi Pinot Noir, not dessert wine), and rarely taste like the varieties they are made of. The lists below were the wines available via Virgin Wines in the introductory shipment last time we checked (not the wines we received). Please note, we can not be sure these are the wines you are going to receive. You will receive a similar assortment. Virgin Wines has one of the top introductory offers available but does not offer discounts on reorders. You do get access to members-only deals at their wine store. When it comes to convenience, Virgin has made great strides over the years. You can now manage your account online, including vacation holds, and you'll get shipping notifications with tracking numbers when the wine goes out for delivery. Note: You still need to call during business hours to cancel your membership. Virgin Wines no longer sends out glossy color cards with their wine club shipments. To get detailed tasting notes about the wines, the wineries they come from, the winemakers, and the wine regions you can go online to your Virgin Wines account. When you look up each wine, you'll also find a link to the curated playlist at Spotify. "I will get a reminder before the above payment method is automatically charged – and will always have at least 10 days’ notice to skip, change or delay selections (online or by phone). I can also cancel my membership anytime by contacting customer service." We chalk both of those sets of problems up to folks not reading the fine print or trying to get a too-good-to-be-true deal and ignoring the other details. What we can't ignore though is the number of people who complain about delayed or missing shipments, as well as shipments that are prepared and billed after actual cancellations. We see far fewer of these complaints than we used to, but they still come in. Who Should Join the Virgin Wines Club? Despite their very appealing advertising touting a $79.99 case of wine, the Virgin Wines Club is not for everyone. Here are some wines that people like that are similar to Virgin Wines in quality and taste: Barefoot Wines, Yellow Tail, and Apothic Wines. With Virgin Wines, you'll get a more International selection and a larger variety of grapes than you do buying each of these brands. In wine clubs, as in the rest of life, you get what you pay for — if you don't normally buy wines at this price point, we don't think this is a good fit for you. You might want to try one of our other affordable wine clubs instead. Is Virgin Wines a Good Wine Club Gift? No, Virgin Wines does not make a good wine subscription gift. Primarily this is because there is no pre-paid subscription option, you can’t include a personalized gift message, and there isn’t any gift wrap in the first shipment. 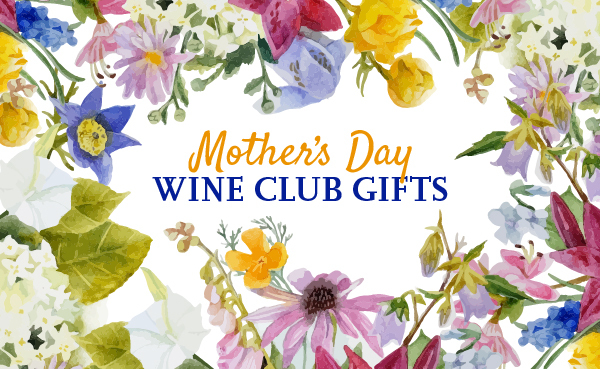 Here is a list of our favorite wine clubs for gifts. Actually they lie about the 2000 miles you earn for joining this club. I never got mine, called multiple times. Actually called today 7/13/11 and now they cant even find my account. Total rubbish company. When I asked for their company information to write a formal letter, the representative could not give me any information. We're not sure we'd call it lying, but thank you for pointing out that Virgin Wines has trouble fulfilling the mileage awards promised by the airline.